Tosy (warning: the site takes a long time to load), Vietnam’s first – and only – robot venture, has been flying under the radar since the debut of TOPIO, their table tennis-playing humanoid, in 2007. The company was established as early as 2002 and has been mainly manufacturing toy robots since. 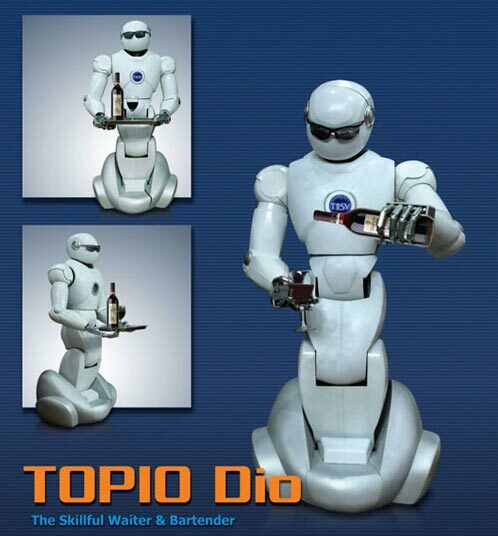 But it seems as if their first “life-sized” service robot, dubbed TOPIO Dio, is a pretty cool humanoid. Vietnam’s flagship robot stands 125cm tall, weighs 45kg, and moves on three wheels. TOPIO Dio is equipped with a total of 28 joints, a built-in camera, a sensor that helps him avoid obstacles, and Wi-Fi for remote control over the web. 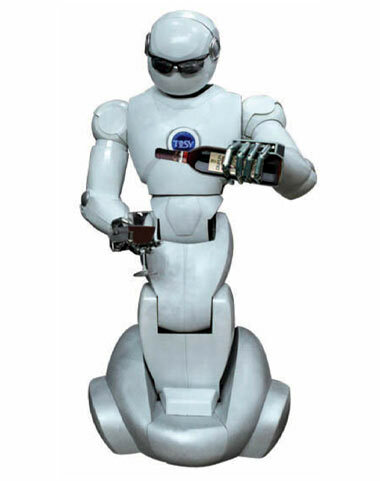 Tosy says the humanoid is mainly aimed at the “hospitality and restaurant” industries. 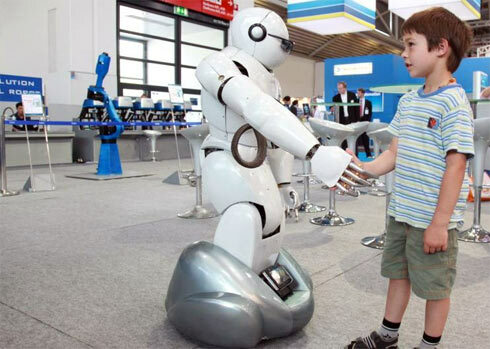 Apparently, TOPIO Dio is 75% cheaper than similar robots that have been developed so far (the picture you see below shows him at an exhibition held in Munich last week). I searched around for a video, but it seems there is not even one clip showing TOPIO Dio in action at this point.